…in which we celebrate the launch of IPv6. The future is here and the future is forever! Tomorrow marks the official turning on of the next generation of the Internet, IPv6 (Internet Protocol version 6). To many people, you shouldn’t notice anything. Nor should you really be concerned with anything. Being on IPv6 isn’t much of a bragging right (unless you’re a nerd/geek/computer scientist). 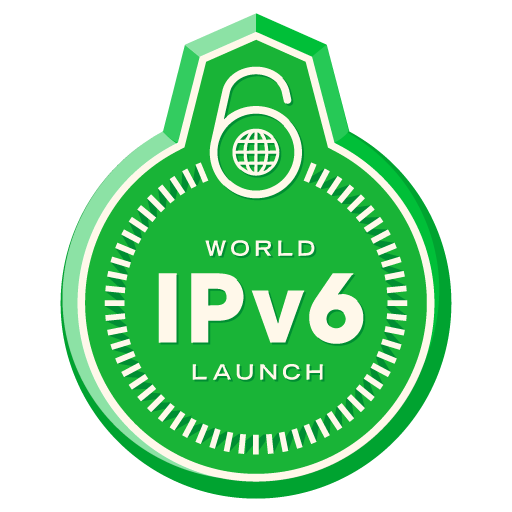 Happy IPv6 World Launch Day! Previous Previous post: A big announcement! Next Next post: iOS 6 and transit maps?